Pleasanton, CA— October 28, 2015 — NextHome and National mortgage provider, Sindeo, have created a strategic alliance that will benefit the rapid growth of both companies and offer home buyers a fresh, streamlined and positive real estate purchase experience. NextHome began franchising in January of 2015 and has since taken the industry by storm. Their unique concept of providing high level technology, new consumer-centric marketing and efficient systems designed for today’s small to mid-sized brokerages, provides a breath of fresh air to an industry lacking options for these firms. With over 50 office locations in 20 states in just under ten months, NextHome has proven that its concept, and brand, is one that real estate brokers had been looking for. NextHome has become synonymous with a consumer-centric, tech-forward, innovative company. As the company continued national growth, it only made sense to create a strategic alliance with a mortgage company that embodied the same values as NextHome. Based in San Francisco, Sindeo’s modern mortgage approach provides borrowers with expert, unbiased advice and helps them find the Right Loan at the Right Time. Charting a new path for the mortgage industry, Sindeo uses newly developed technology to streamline the mortgage process, connect people with the right loan options and provide unparalleled guidance from its full-service, local mortgage consultants. “It is a great opportunity for us to work with a company who shares our commitment to streamlining the real estate process and ultimately offer a better way to purchase a home,” said James Dwiggins, CEO of NextHome. Sindeo, launched in January 2015, currently operates in six states and has plans for rapid growth that includes processing loans in 30 states by the end of the year. “We are so excited to work with the NextHome and Realty World Northern CA & NV real estate franchise to expand our footprint across the United States. Their modern approach to franchising and marketing resonates with real estate professionals across the country,” said Ginger Wilcox, Sindeo’s Chief Industry Officer. Together, Sindeo and NextHome are synergistically aligned to better connect with and serve consumers in what is often the largest purchase of their lives, creating a future of simple, streamlined and transparent processes for the home buying experience. 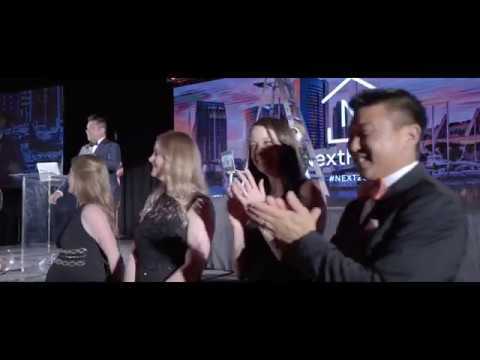 NextHome, Inc. is an independently owned, progressive real estate franchise company, with consumer focused branding, technology and marketing. It owns the NextHome national real estate franchise, which launched in January of 2015 and has grown to over 50 offices, across 20 states with over 300 agents. It also owns the regional franchise Realty World Northern California & Northern Nevada with over 175 offices and more than 900 agents. The company closes over 5000 transactions annually worth over $2B in sales volume. Sindeo’s modern mortgage marketplace provides borrowers with expert, unbiased advice and helps them find the Right Loan at the Right Time. Charting a new path for the mortgage industry, Sindeo uses technology to streamline the mortgage process, connect people with the right lenders and provide unparalleled guidance from its full-service, local mortgage advisors. Headquartered in San Francisco, Sindeo is privately held and backed by Renren and Zenbanx founder, Arkadi Kuhlmann. For more information, visit sindeo.com. The names of actual companies and products mentioned herein may be the trademarks of their respective owners. Each office is an independently owned and operated business.